David Becker has had a wide ranging career as an orchestral bass trombonist. 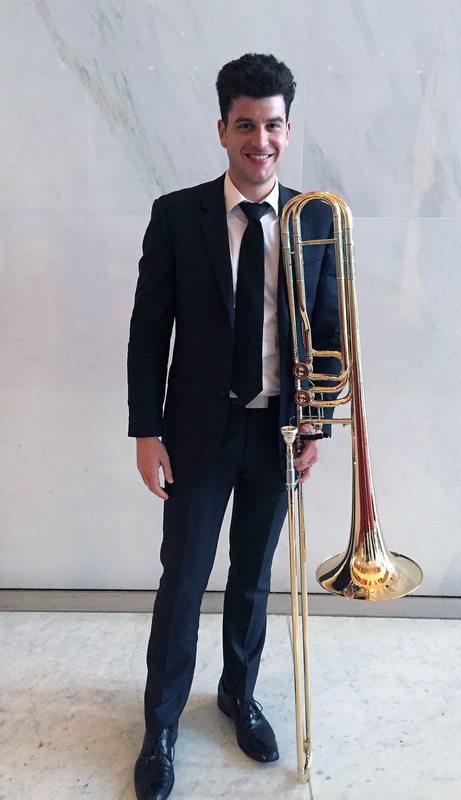 He has held the bass trombone chair in numerous orchestras, including the Kansas City Symphony, Lyric Opera of Chicago, Kalamazoo Symphony, Illinois Philharmonic, and others. He has performed as a guest with the Chicago Symphony Orchestra, Washington National Opera, Santa Fe Opera, Detroit Symphony, and Baltimore Symphony, among others. In 2011-12 Mr. Becker was a Fulbright Scholar studying contrabass trombone in the Netherlands with renowned artist Brandt Attema. David performed as a soloist at the Eastern Trombone Workshop, in Washington DC, in both 2010 and 2011 as a guest artist. In 2007 and 2008 he was the William Randolph Hearst Fellow at the Tanglewood Music Center. A student of Charles Vernon, Mark Fisher, Michael Mulcahy, Randy Hawes, and Pete Ellefson, he holds a bachelor's degree from DePaul University and master's degree from Northwestern University, and was a member of the Civic Orchestra of Chicago from 2005-08. He has performed under the batons of James Levine, Charles Dutoit, Sir Andrew Davis, Bernard Haitink, Osmo Vanska, Robert Spano, Rafael Fruhbeck de Burgos, Kent Nagano, Mark Elder, Christof Eschenbach, Sir Andre Previn, Leonard Slatkin, and Christoph von Dohnanyi, among others. David can be heard recorded with the Chicago Trombone Consort playing both bass and contrabass trombones on the 2010 self-titled release by Albany Records.